Twitter has officially changed its 140 character limit. But, that does not exactly mean you can start writing a 1,000-character Twitter message. The change only means that links and pictures will not be counted toward the limit. A report in May suggested that the social media company was considering making the changes. Later, Twitter confirmed the news and Monday the company announced the changes were taking effect. Twitter recently celebrated its 10-year anniversary. It has been trying to grow its number of users and find ways to make money. The company reportedly lost over 2 million users in the last part of 2015. Jack Dorsey founded Twitter and then left. He came back to the company last year to try to improve its business. Dorsey said at the time that he was "not going to be shy about building more utility and power into Twitter for people." Like Facebook, Twitter has been urging followers to use media such as photos and videos. It recently added a polling feature. 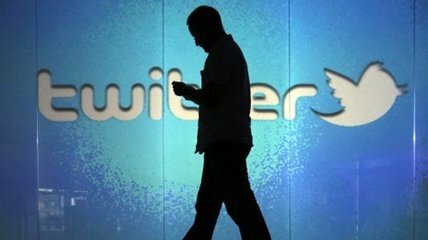 The company also made changes to its timeline, permitting users to see so-called "best" tweets first. The company has also announced that it reached a $10 million deal with the National Football League. Twitter will stream 10 Thursday night games during the American football season. How many members have officially registered in the club? More than two hundred people have reportedly been killed in the past week's fighting. There has been a busy start to polling in today's local elections. Luckily, this utility library does most of the work for you. 1.Later, Twitter confirmed the news and Monday the company announced the changes were taking effect. After you decide which of the three available trace levels you wish to implement, the next thing to consider is when and where you want the tracing to take effect. As a report commissioned by the US Department of Energy shows, an emergency programme to replace current energy supplies or equipment to anticipate peak oil would need about 20 years to take effect. 2.Dorsey said at the time that he was "not going to be shy about building more utility and power into Twitter for people." Next, it imports the projects to build them into this new workspace. He also set himself up as a slaveholder on a modest estate he would build into a major cotton plantation, the Hermitage.